In business for over 30 years, Romco Contractors is the company that you can feel confident to hire to design, install AND maintain your equipment. Romco Contractors’ experienced team will handle any of your needs, from design to installation of a variety of systems and equipment. We offer sheet metal fabrication, structural steel framework, fabricated plastics and general industrial sheet metal work. 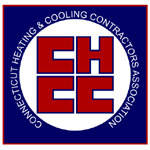 Romco Contractors, Inc is a certified SBE, registered with the State of Connecticut. Fully licensed and insured. All technicians are licensed in Connecticut, Massachusetts, and Rhode Island.